Earlier this week with all the bunny troubles going on, I was craving things that were sweet and light and happy to perk me up. 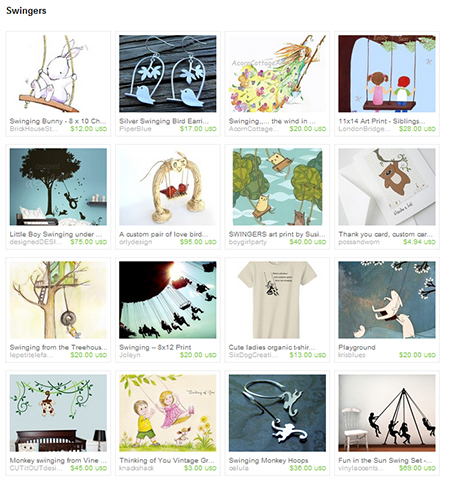 So I created a treasury of items that took me to a happy place just looking at them all. These would all be lovely buys, so I wanted to share. I am having a very rough day today for a lot of reasons and found myself feeling quite down in the dumps. 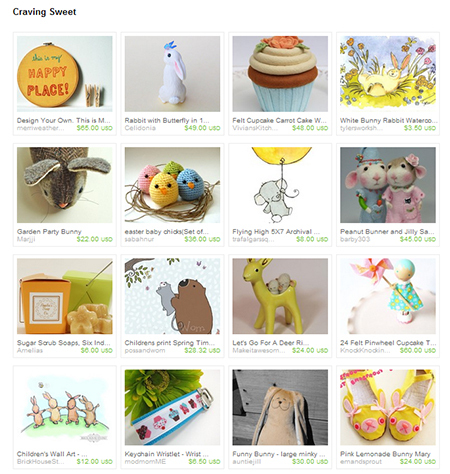 Each Thursday, there is a new nonteam challenge item to inspire people to create Etsy treasuries around the item. I decided to see if that item today would inspire me to find a better more beautiful place to be. Gazpacho and Alfred the snails inspired me to find some dreamy timeless beauties and I feel soothed. Here is more information on the nonteam challenges: http://treasurychallengenonteam.blogspot.com/. 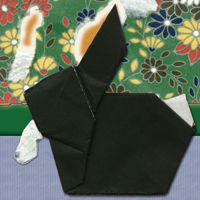 I hope everybunny is enjoying a wonderful day. WordPress had suggested a photo challenge this week of worn and for me that just kept coming out as worn out. It has been a long and tiring week of on and off storms rolling through. For us that means powering down computer equipment a lot and then sometimes working late into the night trying to catch up. When I am worn out, I love nature as a pick me up. 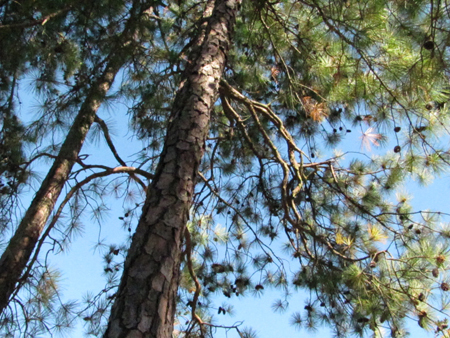 This photo is sunshine and blue skies shining down through Georgia pines, the view you get laid out in a lounge chair or hammock. I hope you all had or have a chance today to kick back, relax and just look up at a beautiful sky. So relaxing! 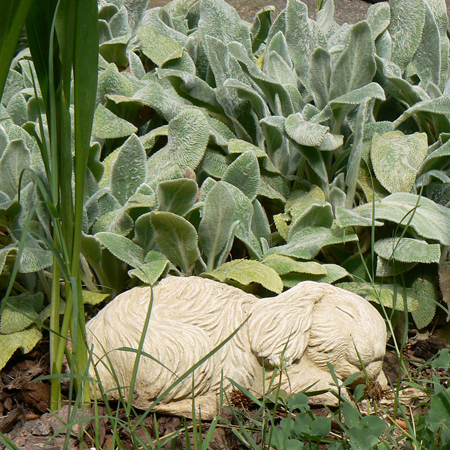 Sleeping in the sunshine … This is the concrete cottontail that sleeps in the patch of fuzzy green rabbit ears that grows by our back door. The expression on this sleeping bunny’s face is so sweet, it always makes me smile. Just some lighthearted fun today with a playful summer mood! 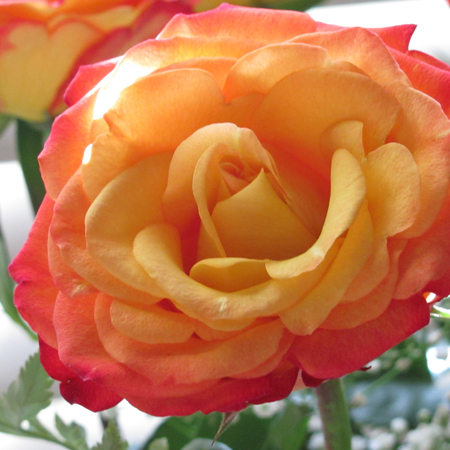 I don’t know the actual name of this rose, but the glorious colors remind me of a vivid sunset. I had a day I was particularly down about something that had really gone wrong with work. Blaine arrived home at the end of the day with a bouquet of these roses. Can we say, Awwwwww! I don’t even remember now what had me so down that day. The roses are the memory now. The colors were so spectacular that I had to take a picture to preserve the beauty. There is just something wonderful about the quality of light in the woods coming down through all the tree branches or breaking free in a meadow by the forest. 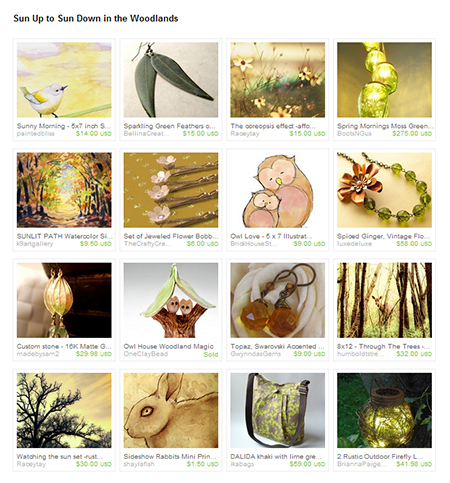 These items on Etsy all captured the feel of a day in the woodlands from sun up to sun down. Enjoy! Here is the second water reflection photo today showing how the first painted water image changes with the duck flapping its wings and moving the water. Today, a photo study in water reflections. On May 8th, I shared a photo of napping ducks I had taken at the Atlanta Botanical Gardens. The pond they are in is round and I took many pictures of them as Blaine and I walked around it. In just a few minutes, I caught shots as they slept, as they woke up and flapped their wings and then started to swim on the pond. I was snapping away taking pictures of the ducks and not really taking in the reflections and changing colors of the water that were there from the different directions of the shots. It was amazing to open up the photos full screen size on the computer and see this lovely impressionistic painted landscape showing the blooming spring trees reflected in the water. I will post a couple more photos from that day later on today. One shows the difference to the painted water landscape when one duck begins flapping its wings. I loved the turquoise blue glass beads of this weeks featured item with the gold swallow (top right corner item) which leant itself to choosing lovely bird and woodland items with a couple bunnies snuck in too! 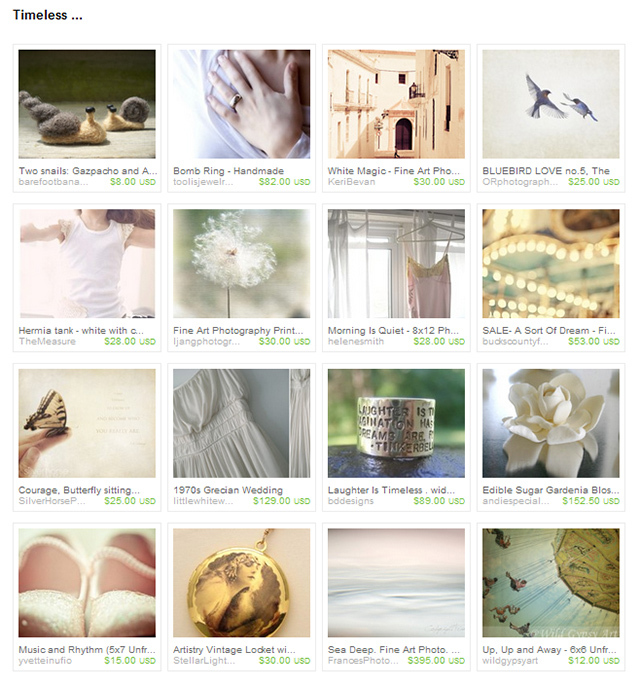 Since I think in images, I have created a couple lovely treasuries today. Switching to pictures is the most natural thing for me to do when I find my energy level lagging a bit. It is like dropping back into my native language. Enjoy!